This exclusive saver combo combines flexible sightseeing aboard NYC's iconic open top buses and encounters with fine art at the incredible MoMA. Hop on and off the bus at popular Manhattan attractions and discover New York in all its magnificence! Explore the heart and soul of the Big Apple, with this Downtown New York Hop-On, Hop-Off bus ticket. Enjoy fascinating views from the double-decker bus on this sightseeing tour covering all of Manhattan’s best attractions! A knowledgeable live guide and on-board commentary in 11 languages ensures that you don’t miss out on anything! 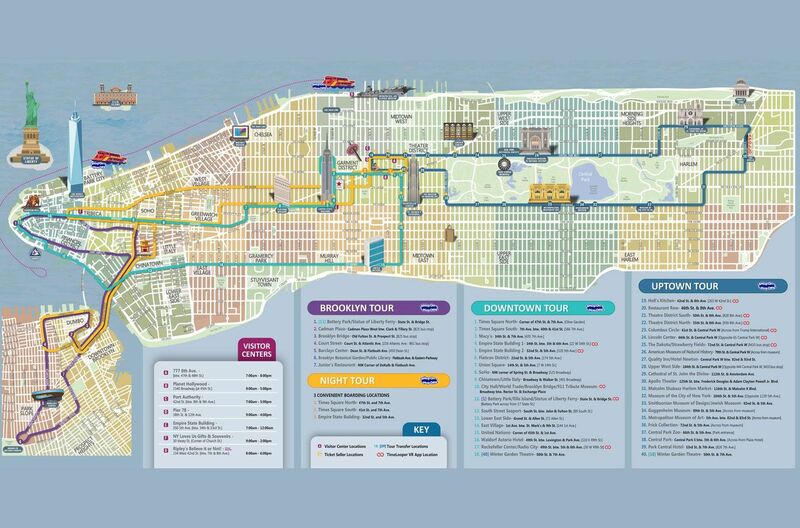 The bus routes cover the city’s most popular attractions including the Empire State Building, Greenwich Village, SoHo, Little Italy, Chinatown, the World Trade Centre site, Battery Park, South Street Seaport, Times Square, Rockefeller Plaza, Radio City, the United Nations, Fifth Avenue and many other attractions! Admire works of artists like Andy Warhol, Vincent Van Gogh, Jackson Pollock, Cindy Sherman and many others at New York City’s Museum of Modern Art. Boasting of more than 150,000 works of art within its walls, as well as 22,000 films and four million film stills, MoMA is one of the country’s greatest modern art museums! Hop-On, Hop-Off: Vouchers must be exchanged at the Gray Line CitySightseeing New York Visitor Centre at 777 8th Avenue, between 47th and 48th Streets. Once you have exchanged your voucher at the Gray Line CitySightseeing New York Visitor Centre, you can board the double-decker bus from any of the stops. MoMA: is located at 11 West 53rd Street, New York 10019. Please enter at 18 West 54th Street. Voucher Information:Sorry, but we will need you to print a paper version of your booking voucher (we're working on changing this ). At this time no refund can be given for customers without a printed copy of their voucher. Immediately on booking you will be emailed a receipt for your MoMA tickets. Your barcoded e-ticket will be sent by email within 24 hours of booking. This ticket can be shown on your smartphone to enter the attractions. MoMA was awesome. Bus was a great way to see NYC, especially the night tour.